Both men are currently being questioned at a police station in Staffordshire. A SENIOR KINAHAN figure has been arrested in the United Kingdom as part of an investigation into the supply of drugs and firearms in Ireland and the United Kingdom. 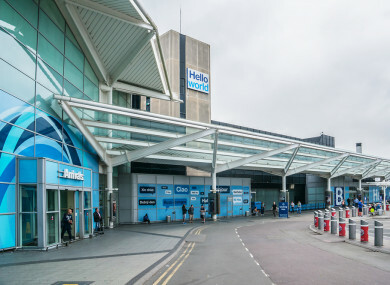 The 51-year-old man was arrested at Birmingham Airport this morning on suspicion of conspiring to import and supply drugs, firearms and ammunition, as well as money laundering offences. A second man, aged 20, was also arrested at the airport on suspicion of money laundering offences. Officers with the UK’s National Crime Agency, supported by colleagues from Staffordshire Police, are also searching a property and a business premises in Birmingham as part of their investigation. The arrest and searches are part of an investigation into the activities of an organised crime network alleged to be involved in the supply of drugs and firearms. The investigation is being supported by An Garda Síochána and other international partners. Assistant Commissioner John O’Driscoll of the Garda’s special crime operations unit said gardaí were “engaging in the most impactful possible co-operation” with international law enforcement authorities. O’Driscoll added that gardaí would make no further comment while investigations were ongoing. With reporting from Garreth MacNamee. Email “Senior Kinahan figure arrested at UK airport as part of probe into supply of drugs and firearms to Ireland”. Feedback on “Senior Kinahan figure arrested at UK airport as part of probe into supply of drugs and firearms to Ireland”.